When we are first born our parents are all that we have in this world. We would not be who we are today without them. Our parents are the people we look to for support and guidance. They are supposed to keep us feeling safe at all times and make sure as children that we follow their rules. However, as humans, we are all capable of making mistakes. As a child, we do not often think of our parents as ‘just humans’ we see them as more than that. These people we call Mom and Dad are our creators, guardians, protectors. They are Gods and Goddesses in our eyes as children, there is nothing Mommy and Daddy cannot do. Everything that a parent does and how they do it becomes an important part of their child’s psyche. The way we speak to our children becomes their inner voice. It tells them what is right and what is wrong. If you are often angry and cold towards your children they will carry on this into adulthood. They will do the same thing you are doing to them to themselves later on. We all make mistakes, if you are making one now why not take the time to correct it? We want our children to have an inner voice that does not insult them. If you are friendly and motivating to your child they will take that on as their inner voice, this will prove to be much more effective than having an inner voice that makes them feel worthless. Even if there is no reason for your child to be crying in that moment do not make them feel stupid for doing so and for not being able to stop. They cannot control their emotions. They deserve to be allowed to feel what they are feeling if you say this to your child you are programming them to think that it is not okay to have emotions. They will eventually suppress everything. You should try saying something else in situations like this. Something like “It’s okay to cry but you still need to understand what you did was wrong.” This will get you much further. You should never make your child feel like they are bad as a whole. This also goes along with using the word rotten. You should try using the phrase “What you did was bad” Because their actions may not be as good as you would like for them to be but that shouldn’t make you think negatively of your child as a whole. We all make mistakes, that doesn’t mean we are all bad people. Duh, this is your child, you are supposed to do everything for them. You should not be holding that against them, They did not choose to be born. You should be ashamed of yourself if you have said this to your child. They are not the problem when it comes to what you do for them they are there for you to take care of not the other way around. This is something that also should not have to be on this list. You should never tear you children down like this. If you have a fat kid they already know they’re fat. They without a doubt hear about it from other children every single day. Home should be a safe place, not a place that they’re going to be bullied even more in. Try saying something like “I’m thinking about getting into shape and being healthy, do you wanna give it a try with me? I don’t want to do it alone.” Negative labeling like calling your kid fat will lead to eating disorders and an unhealthy body image without a doubt. 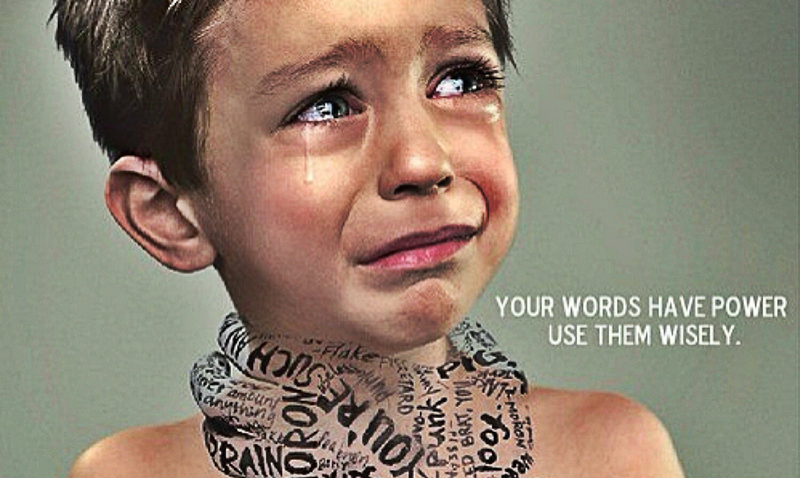 Be careful what you say to your children. They are the ones who will be there to take care of you when you can no longer take care of yourself. If they grow up hating who they are and how you treated them you won’t have much of a caregiver when the time comes. Love your children for who they are and encourage them to do good, don’t tear them down.